Did you get into the adult coloring book craze? I didn't so much but when I saw this Just Add Color paper, I could see so many fun things to do with it. First of all, the images are bold and lend themselves to some really fun colors - and the bonus for me is that I could see cutting them out using my Scan N Cut! A friend is a real estate agent and I told her that I would make up some cards for her to give clients when they purchased a new home. 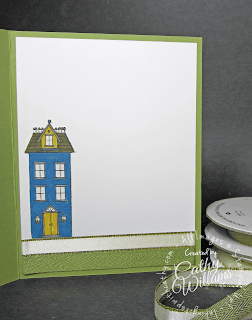 While I am going to make several using the door from the At Home with You stamp set and dies, I thought these would be super fun too. 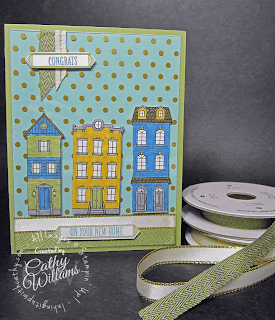 In the video, I show you how to hide the adhesive used to attach the acetate behind your ribbon and paper pieces so it doesn't show. There's nothing worse than a glob of adhesive showing, is there?